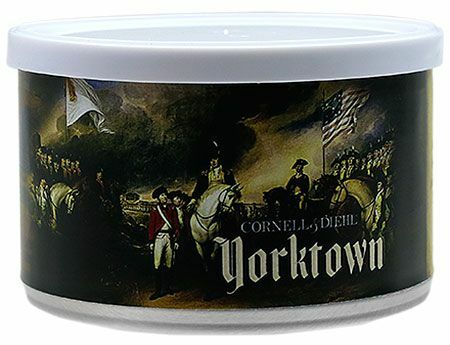 For Yorktown, the folks at Cornell & Diehl combine stoved red Virginia with bright Virginia and restove it. Straight red Virginia is then added to this remarkable base for sweetness. The acme of mixtures for the Virginia purist!